For teachers, schools or districts seeking a ClassDojo alternative, RedCritter Teacher is an ideal solution. For teachers, schools or districts seeking a ClassDojo alternative, RedCritter Teacher is a fantastic solution. We are often asked how RedCritter Teacher measures up as a ClassDojo alternative. While we do have some similarities in ease of use and setup, our solutions differ in approach and philosophy. ClassDojo is a classroom behavior tracking tool, scoring students on a spectrum of bad to good based on their behavior. RedCritter augments your curriculum with tools that promote learning by providing students with continuous positive recogition. ClassDojo labels students as "Good" or "Bad"
Labels students as "Good" or "Bad"
ClassDojo is a behavior tracking service. 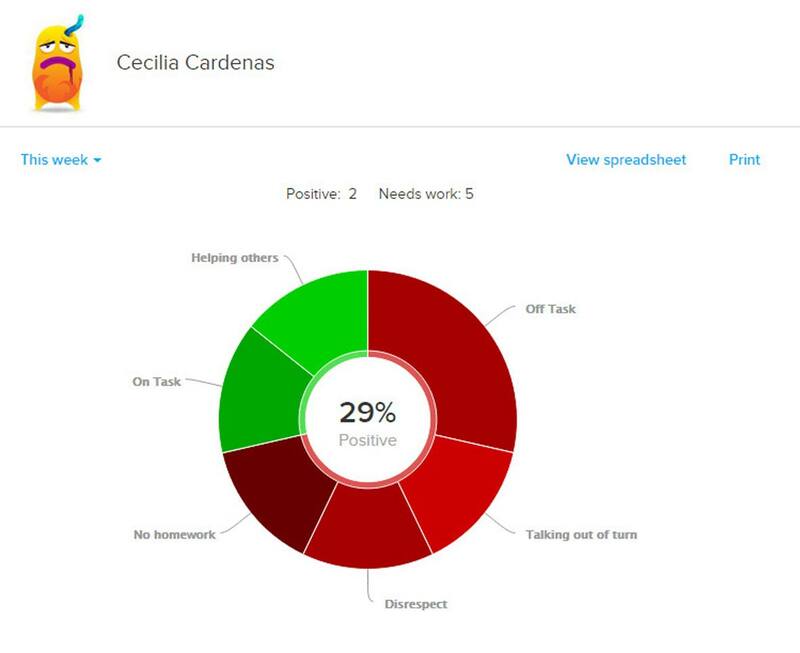 ClassDojo records each studentâ€™s positive and negative classroom behaviors and relates them to a personal record. ClassDojo comes out-of-box with 6 positive and 6 negative behaviors. 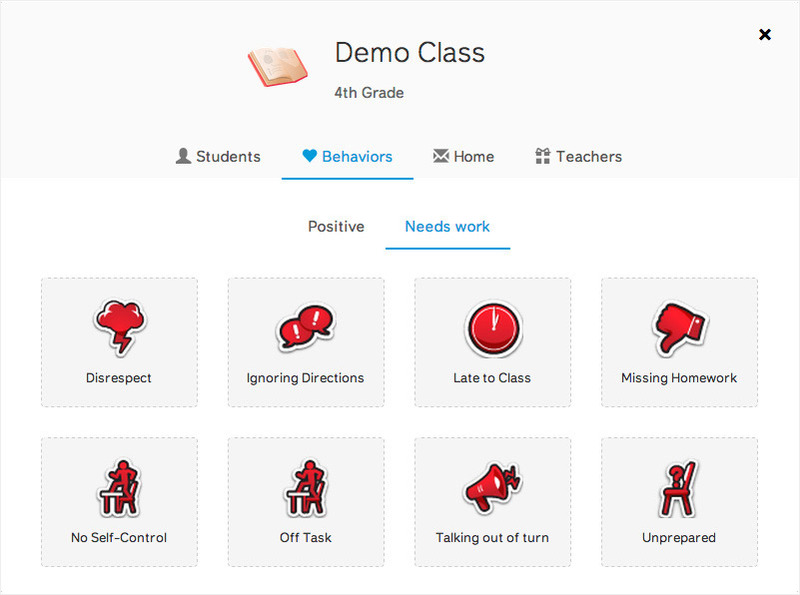 A screenshot from ClassDojo's website shows ClassDojo's recommended negative behaviors for labeling "bad students." ClassDojo scores and ranks each student based on their bad behavior. "Behavior databases could potentially harm students' reputations by unfairly saddling some with a 'problem child' label that could stick with them for years." RedCritter encourages and measures learning. 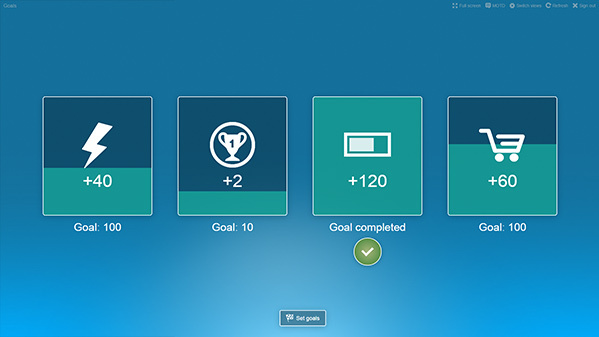 It does this by giving teachers tools to recognize and reward student effort and learning with digital badges, skills points, reward points and more. For the student this provides continuous postive feedback and allows them to socialize their effort and successes with their parents and peers. RedCritter helps schools implement (PBIS) Positive Behavioral Interventions and Supports. Research shows recognition of effort and achievements promotes classroom learning. RedCritter showcases students' skills and achievements over their entire school life. 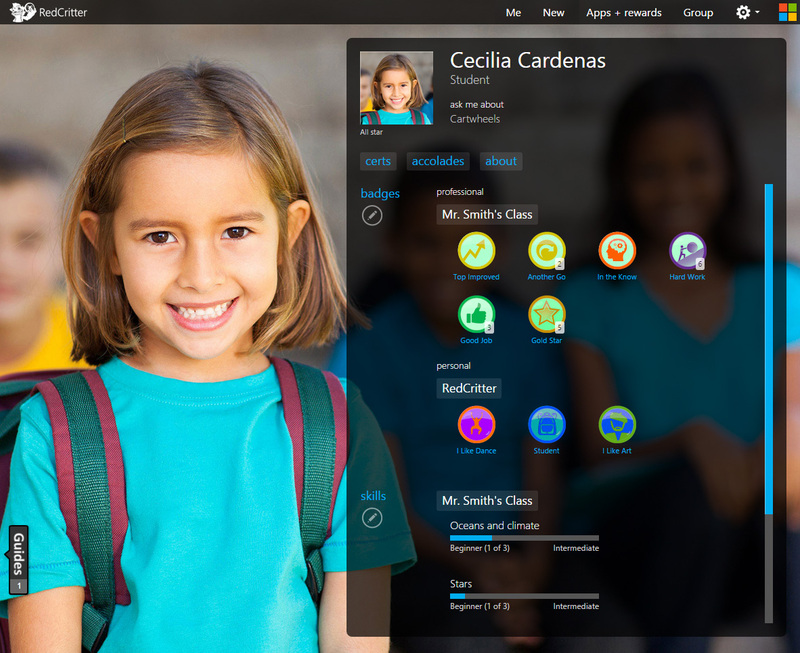 RedCritter creates student profiles that every child can be proud to share with their parents. ClassDojo gives each student a behavior score from 0 to 100%. RedCritter showcases real effort and learning achievements. RedCritter focuses on highlighting achievements and recognizing effort. This encourages students to share and discuss their classroom activities with their parents. 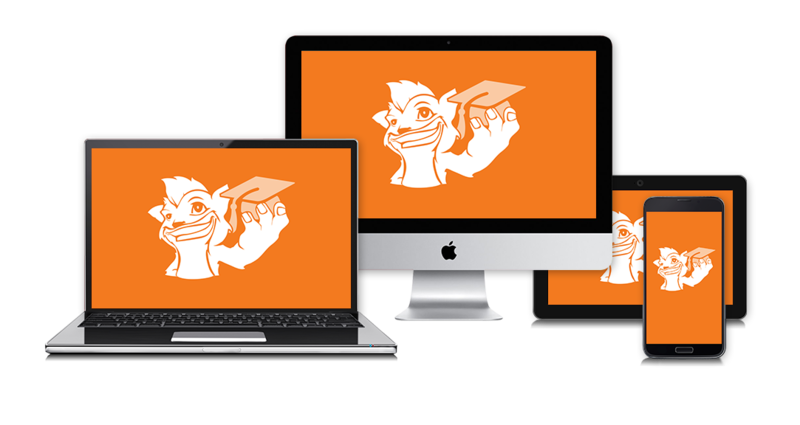 RedCritter is the technology leader in educational software. 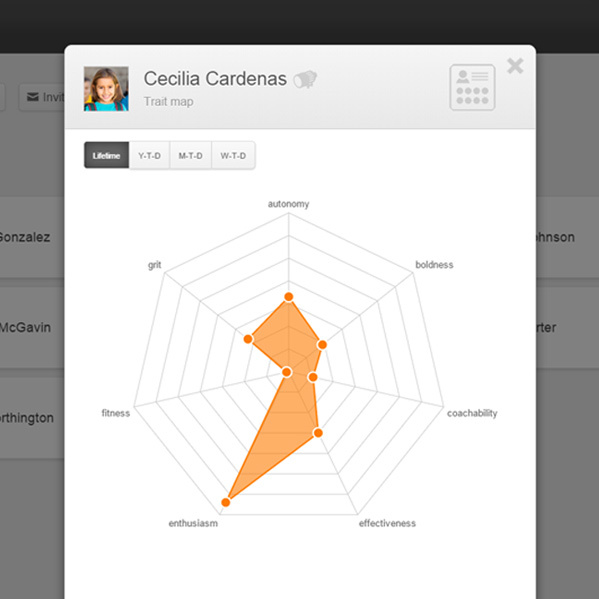 Trait maps are automatically generated for the teacher using logic based on a history of student activity. Trait maps can be helpful in creating individualized learning programs based on personality and learning tendencies. RedCritter is pioneering student wearables with Achievement Bandsâ„¢. Students can wear bands around their class or school and receive recognition with a simple bump of an NFC-enabled smartphone. 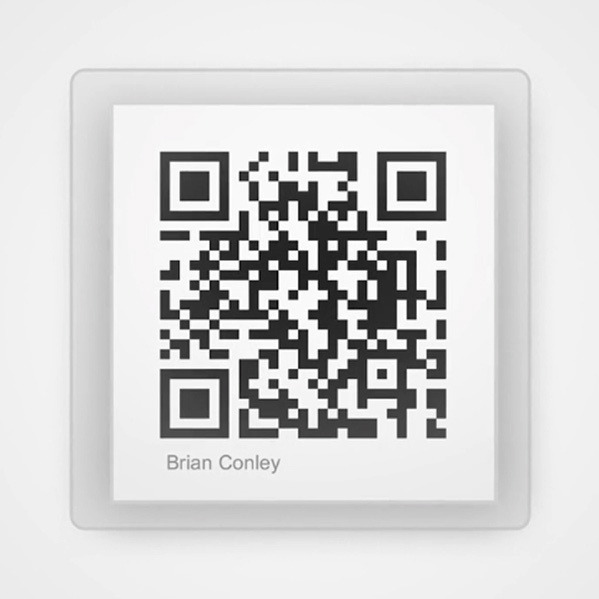 You can use QR codes on student IDs, name plates or even on classroom desks. They make it easy to award achievements with a quick scan from any iOS, Android or Windows smartphone. Skills and skill levels can be defined by teachers, schools or districts to develop or comply with any standard of mastery. With the RedCritter platform, skills can also be integrated into Learning Management Systems (LMS) such as Moodle or custom learning apps to provide constant feedback and motivation. RedCritter provides new technologies and tools to encourage, measure and improve student effort and achievement. Capture all your achievement data at the school or district level for integration with your existing School Information System. Leverage pre-built visual dashboards, infographics and reporting to easily track and monitor all of your achievement data. Teachers can teach econmonic principles with their own easy-to-manage classroom economy, complete with virtual currency and a configurable rewards store. Rewards are completely optional. Teachers can completely customize the rewards they want to offer in their classroom. Students browse their class store and engage with their parents while planning reward purchases. RedCritter Teacher comes with a customizable wallboard that can be used to display an activity feed, seating chart and more. You can use it with any dedicated projector, smartboard or external monitor. You can also control it with any computer, phone or tablet. View animated class activity in real time. Highlight invididual student effort and recent activity. Display an interactive seating chart as students walk into class. Set achievement goals for the class to improve autonomy. Highlight groups on a cool leaderboard. 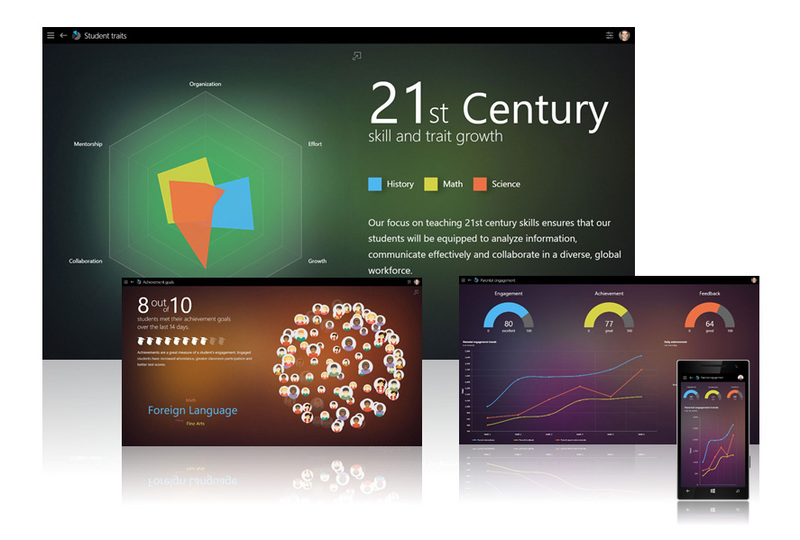 Leverage pre-built visual dashboards and reporting to easily track and monitor achievement trends. Philosophy Behavior tracking Achievement recognition Research has proven that encouragement and recognition of effort increases achievement in the classroom. (unlimited students and classes) RedCritter Teacher will never sell your private data. We charge a nominal fee so that we can continue to deliver the best product on the market. Student opt-in RedCritter Teacher is optional for students and parents. Student-owned profiles With RedCritter, students can choose to carry their achievements from grade to grade so they can build a portfolio of their learning successes. Video tutorials RedCritter provides high-quality videos to guide you through every key feature of the service. Parent notifications Easily send notifications to parents. RedCriter focuses on one-way unobtrusive messaging to prevent classroom distractions for the teacher. Weekly report/summary RedCritter and ClassDojo provide summary reports for parents. RedCritter focuses on positive achievements and also includes the students recently earned skills, badge, certs and more. COPPA compliance Both solutions feature 3rd party validated COPPA compliance making our solutions suitable for pre-K and up. Solution for Parents RedCritter has a dedicated family solution that allows parents to apply the same learning and achievement principles at home. Daily Achievements Create and send achievement approvals to parents and tutors. Provides motivation for completing activities outside the classroom. Log attendance Easily select students and log daily attendance. Random student picker One button click to randomly select students. Timer/stopwatch An easy to use timer/stopwatch for managing timed classroom activities. Student lists RedCritter allows teachers to easily create lists of students and have that list emailed to them for later use. Seating chart RedCritter included the industry's most advanced seating chart. 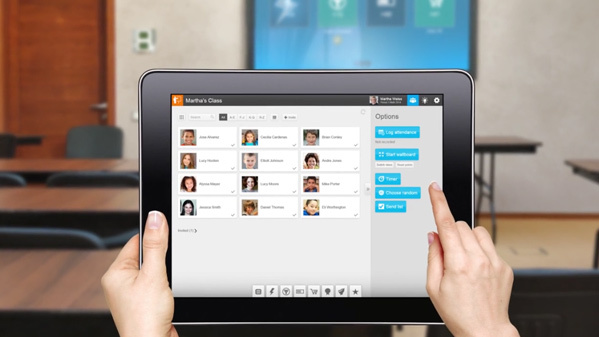 It allows you to visually layout your students to match your physical classroom. 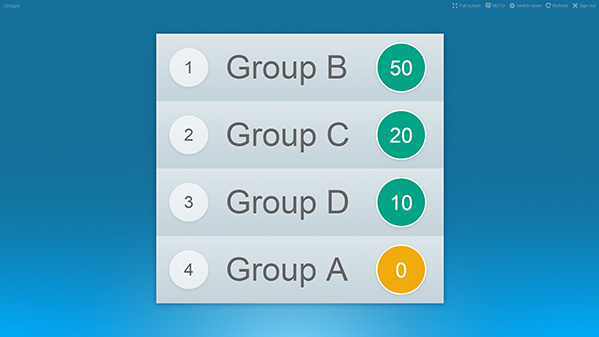 Groups Groups features allow teachers to quickly organize students into groups and issue points to the whole group. 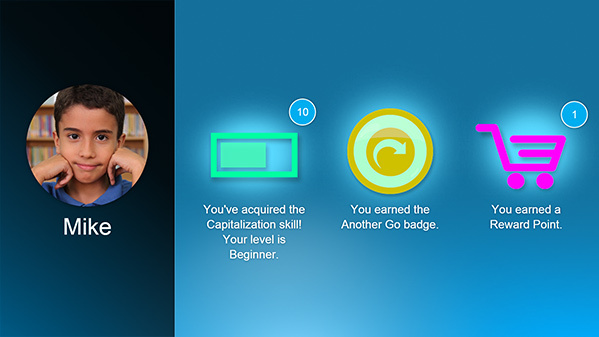 RedCritter also lets you issue skill points, badges, virtual currency and more to entire groups. Student trait maps RedCritter automatically creates a visual representation of traits for each student based on the number and types of achievements they earn. Teachers have full control over which traits they want to track. Trait maps can be useful for identifying each student's learning trends at-a-glance. Behavior/action points Both solutions allow you to assign points for a particular behavior/action. RedCritter defaults to only positive actions to foster learning. Badges Badges are like digital trophies. 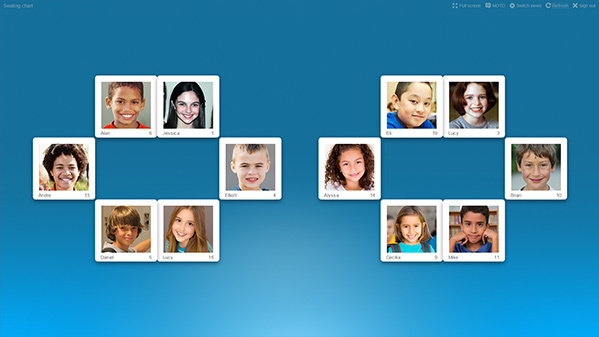 RedCritter allows students to collect them on their profiles. RedCritter is complete with pre-designed badges but lets you create your own. Skill tracking Skill tracking allows you to assign points to students for learning particular skills which you define. You can create skill levels and watch your student progress as they level-up and learn. Virtual currency Start and manage your classroom economy, complete with virtual currency and your own customizable rewards store. Rewards store Create a rewards store for your class. 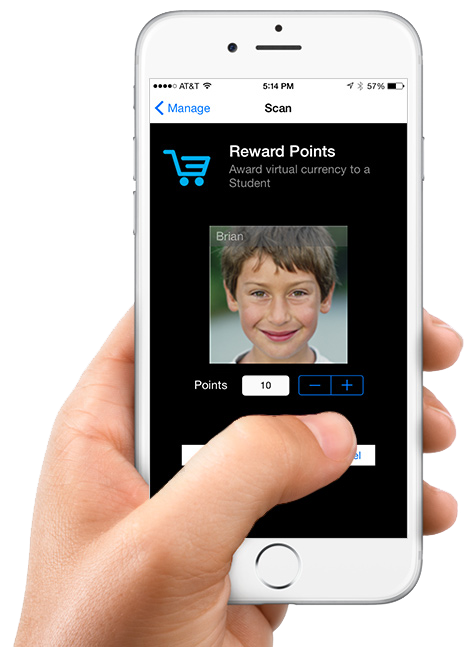 Issue virtual currency to your students and let them purchase rewards that you design and manage. Certificates Recognize formal learning or training by issuing certs that students can proudly display on their profiles. Accolades (peer to peer) Teachers can add send compliments to students or other teachers. Recipients can approve and collect them to showcase compliments. Web-based interface Support for all major browsers. RedCritter supports drag and drop on most popular tablets. 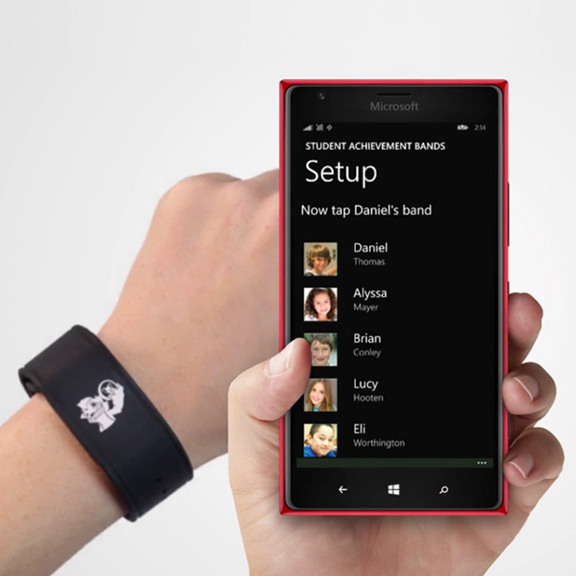 Native Mobile Apps RedCritter includes native apps for iOS, Android, Windows Phone and Microsoft Band. ClassDojo supports only iOS and Android. 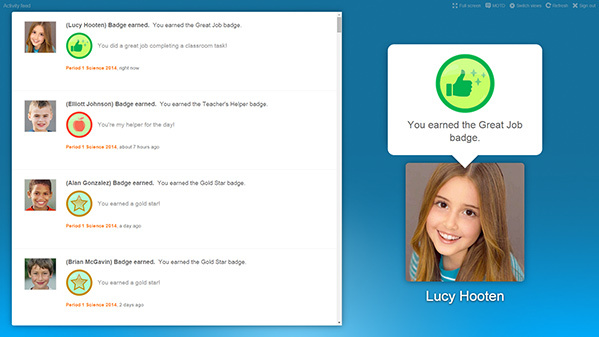 Desktop notifications RedCritter has an optional app that allows parents to recieve real-time desktop achievement notifications for all of their children. 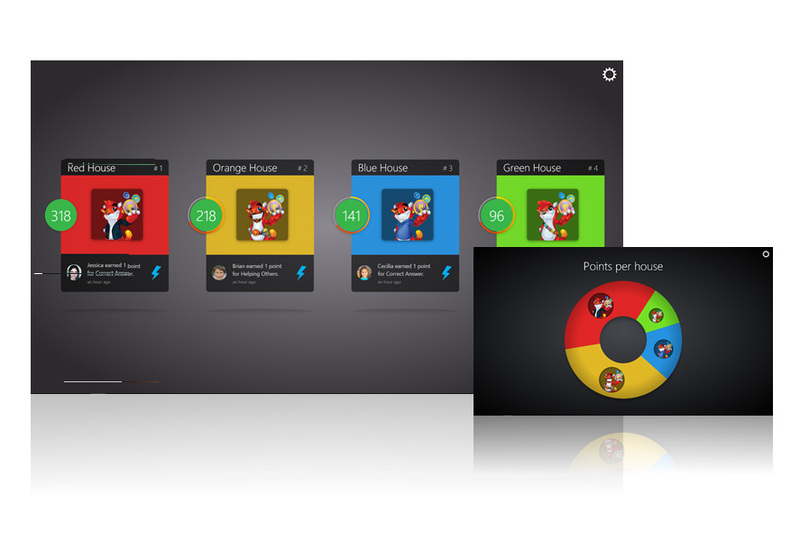 Real-time activity feeds RedCritter allows classrooms, schools and even districts to view real-time achievement activity. Face Recognition Select students using face recognition. Take attendance automatically as students enter class. 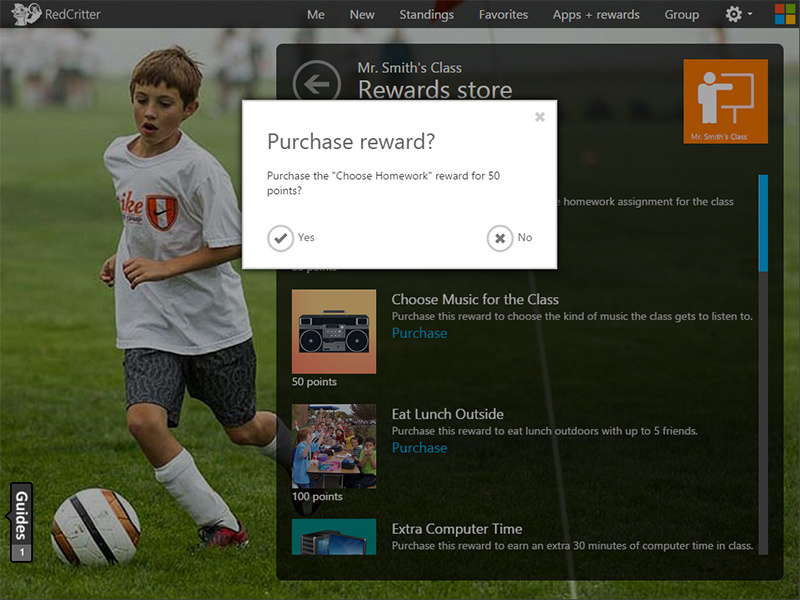 For schools with our PBIS or Houses add-ons, add students to class instantly. Open APIs for developers Students can earn achievements from any compatible custom school app or learning mangement solution using our open progamming interfaces. Idea Lab (share and install custom achievements) The Idea Lab is a global community where educators share and exchange best practices for recognition and install custom ideas with one click. Cooperative class goals Make your classroom more collaborative and cooperative by setting class goals for different types of achievements. Student wearables Learning can happen anywhere, so why limit it to the classroom? Student wearables can be carried anywhere and can trigger recognition with a simple bump or scan. Scan QR codes to issue achievements RedCritter creates printable QR codes. These can be given to students or affixed to desks, then you can use your iOS, Android or Windows phone to quickly scan and award achievements. Bump device to issue achievements RedCritter supplies stickers which can be given to students or stuck on desks. Simply bump your Android or Windows phone to the sticker to award achievements. Voice control With RedCritter and a Windows 10 PC/tablet or Windows phone 8.1 or later you can say things like "Give Collin and Jane 5 skill points for fossils" or "Give Kelly the Hard Work badge" and it's done. Grade papers while giving achievements totally hands-free. RedCritter learns its vocabulary automatically based on your classroom's students and achievements. Role-based security RedCritter lets you grant limited permissions to substitute teachers or student helpers. We give you fine grain control over what each person can give out. Microsoft single sign-on (SSO) Teachers and students get the convenience of logging into their RedCritter service using their school issued Office 365 login. Office365/Outlook Outlook and Office 365 users can install our RedCritter for Outlook app and view RedCritter profiles inside their email! Yammer RedCritter allows students 13 and up to forward their achievements into a Yammer feed. 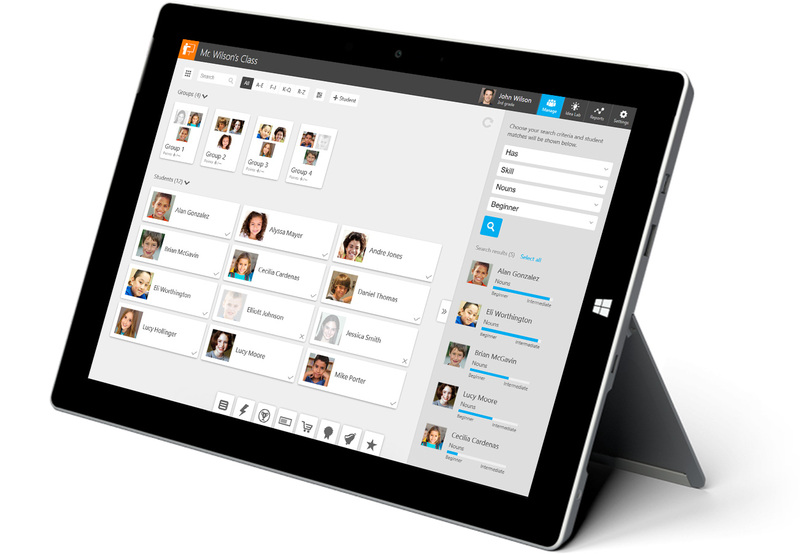 If your school uses Yammer to keep in touch with parents, RedCritter will enhance it! SharePoint Many schools also use RedCritter for issuing professional achievements to their teachers. These can be displayed or showcased on the school's SharePoint portal. 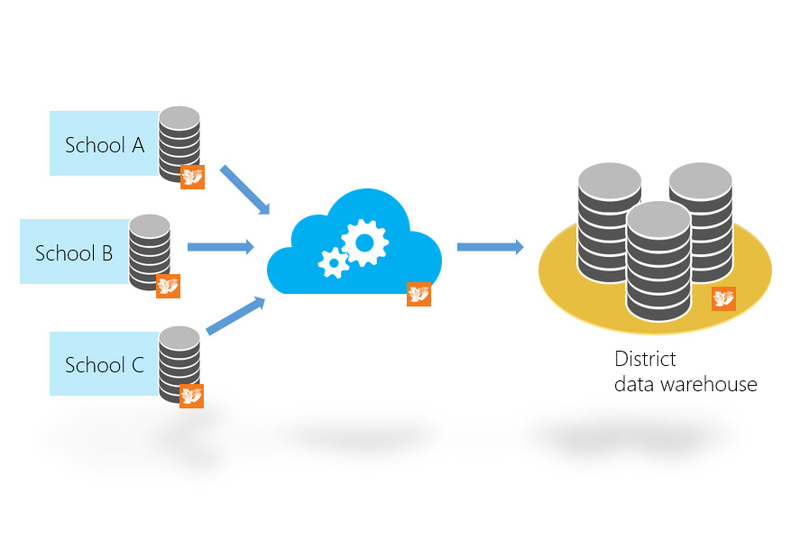 Microsoft Class Dashboard Deploy district or school wide with automatic teacher, classroom and student synchronization to your Office 365 and Microsoft Class Dashboard solutions. Google Classroom If you use Google Classroom, RedCritter will onboard your students with just a few clicks. No fuss or muss with importing spreadsheets or manually entering student names. Mozilla Backpack Students 13 and over can choose to automatically forward their badges and certs to their Mozilla Open Badges Backpack. If you're considering a ClassDojo alternative, try RedCritter Teacher free for 30 days to see what you're missing. If you're a principal or superintendent, please contact us to get a personalized demo and discuss volume licensing.